Full-back has more assists than any other FPL defender, but which Spurs player are managers deserting? Danny Rose (£5.9m) collected the maximum Fantasy Premier League bonus points in Tottenham Hotspur’s 2-1 victory over Burnley. Scoring 32 in the Bonus Points System (BPS), the defender scored the winner and completed 86% of 38 attempted passes as well as seven recoveries and four successful dribbles. Spurs' other goalscorer, Dele Alli (£8.1m), earned two bonus points with 29 in the BPS. The midfielder complemented his goal with six recoveries and a successful tackle, while completing 90% of 30 attempted passes. 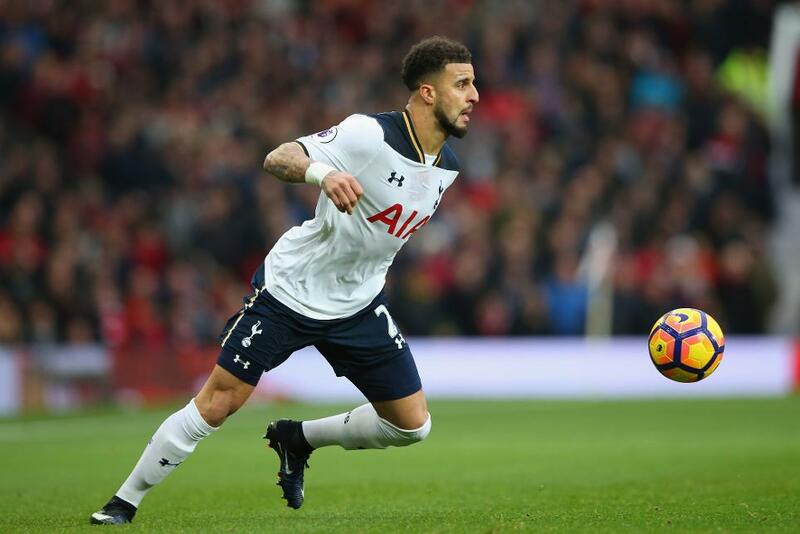 Kyle Walker (£6.2m) collected a single bonus point, scoring 27 in the BPS. The right-back produced three successful dribbles and supplied the assist for Alli’s strike, one of five chances he created in the match. Walker has now contributed four assists this season, more than any other FPL defender. Rose claimed top spot in the ICT Index with 14.3 – his biggest total of the campaign. The left-back produced three attempts on goal, with two arriving inside the penalty area, and also created four goalscoring opportunities for the hosts. Christian Eriksen (£8.6m) earned second spot with an ICT tally of 11.6. Second only to Liverpool’s Adam Lallana (£7.4m) for transfers-in ahead of Gameweek 17, the Dane fired seven attempts on goal and created four chances for his team-mates. Alli narrowly edged Harry Kane (£11.3m) into fourth spot in the ICT Index. He bettered the striker for total attempts (six to five) and efforts inside the penalty area (four to three), with Kane managing only one shot on target against the Clarets. Backed by 10% of FPL managers with the captaincy for Gameweek 17, Kane has now failed to score in four of the last five rounds of fixtures. He still sits in 19.4% of FPL squads, but is second only to the suspended Diego Costa (£10.9m) in terms of transfers-out since the passing of Saturday’s deadline. With both Costa and Sergio Aguero (£12.8m) returning from their suspensions for Gameweek 19, and Zlatan Ibrahimovic (£11.3m) in relentless scoring form, the competition for places in our three-man frontlines means Kane is likely to suffer further losses. In contrast, Spurs’ full-backs are worthy of increased interest. Walker is now third in the FPL points standings for defenders and is the most popular Fantasy option at the back, sitting in more than 38% of squads. But the 6%-owned Rose has bettered his team-mate for points per match (5.1 to 4.6) in 2016/17 and has to be a consideration. Rose did, however, suffer a thigh knock that forced him off late on in Sunday’s encounter. Burnley’s Tom Heaton (£4.8m) remains the second-highest scoring goalkeeper in FPL after defying the hosts with seven saves for a three-point return. Heaton’s total of 78 saves is 11 more than any other GK.